The latest addition to the range is Pavilion Slique. With more slender proportions and an ultramodern aesthetic, Pavilion Slique is perfect for executive townhouses or urban homes. 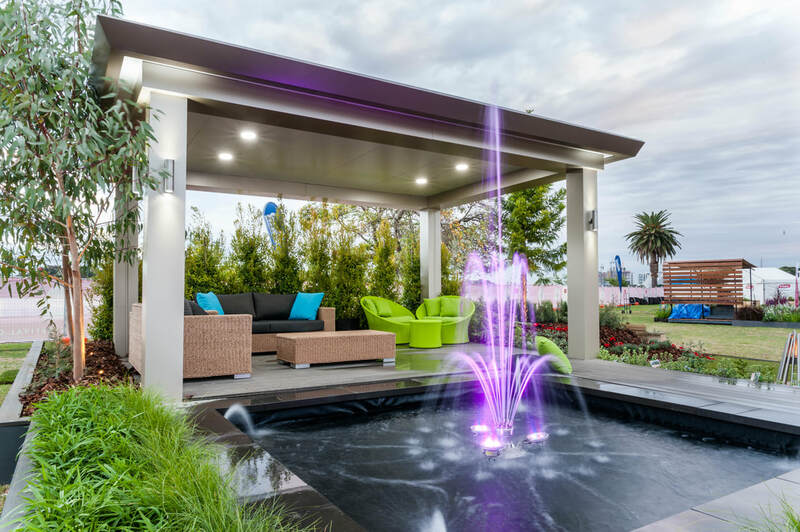 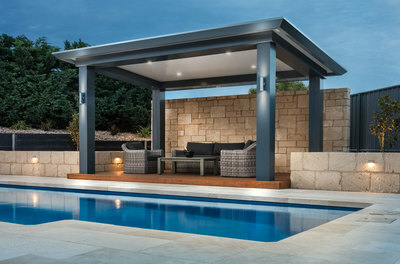 Offering a whole new level of sophistication, elegance, and even glamour to your alfresco living area. The classical architectural proportions of Pavilion Grande created by larger columns and bulkheads, and the distinctive Edge gutter, respond to emerging trends for a more substantial looking structure. 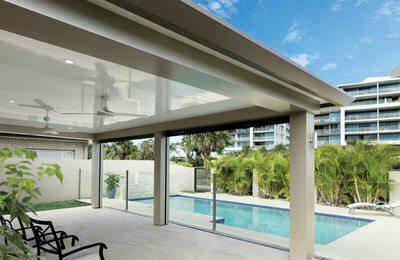 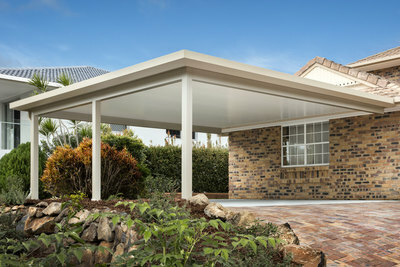 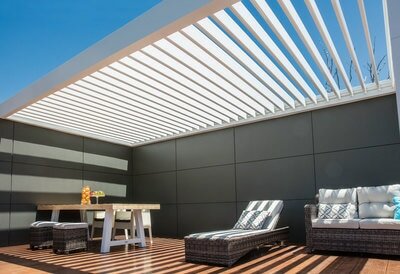 Pavilion Grande has become the new benchmark in stylish alfresco design. 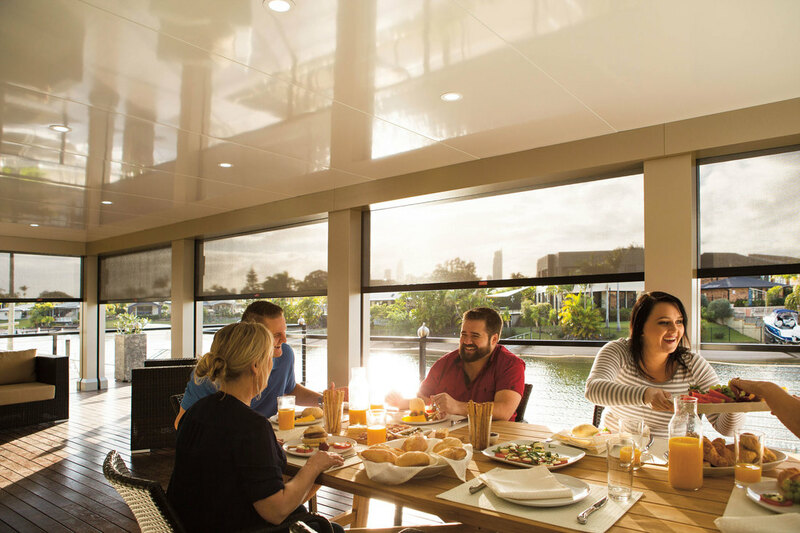 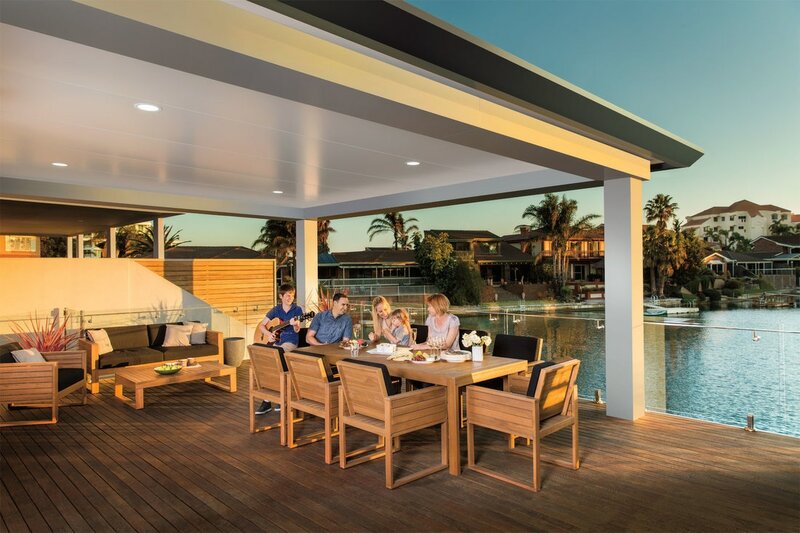 Offering you the very best in all-season alfresco living. 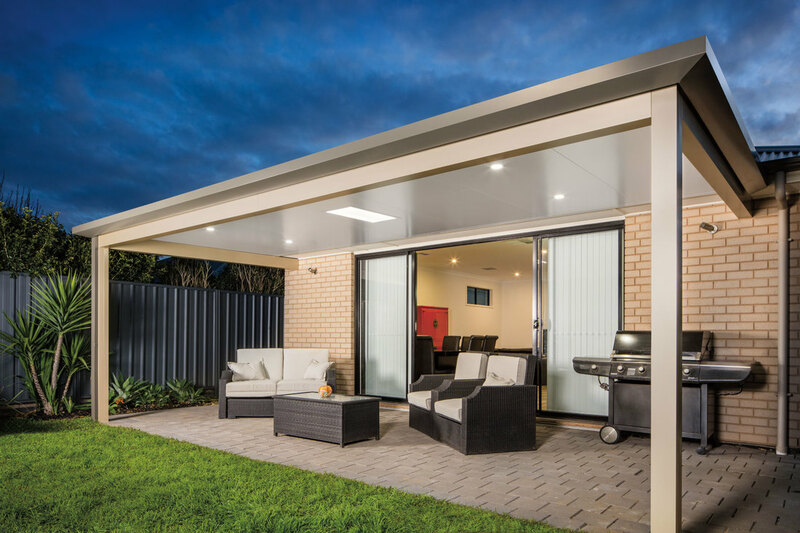 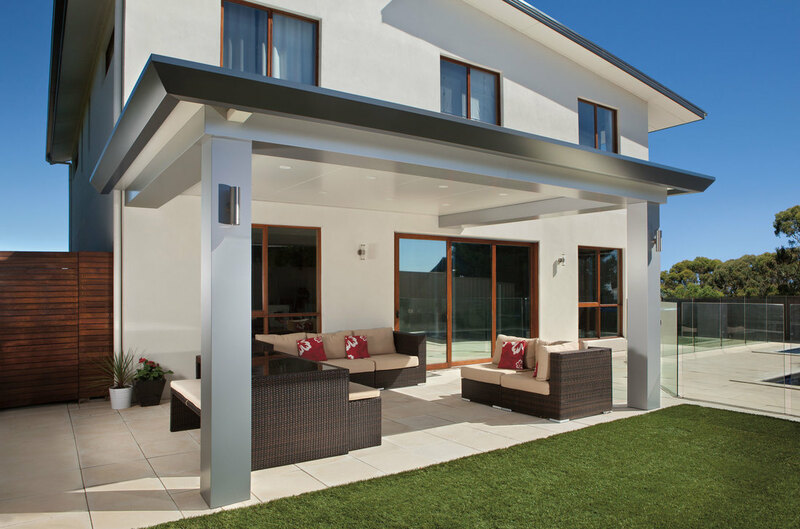 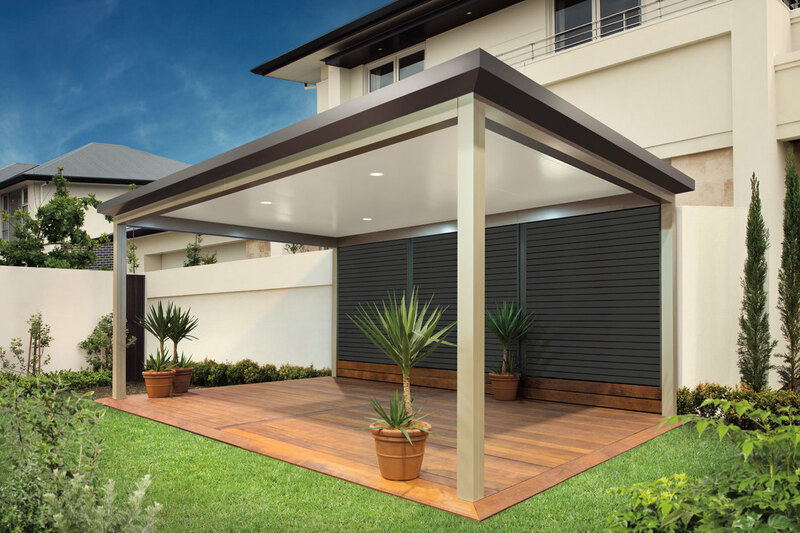 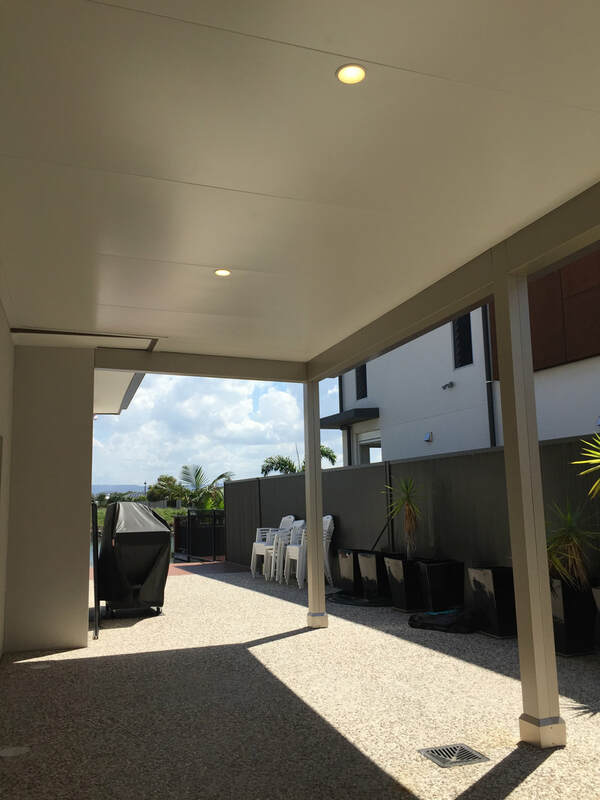 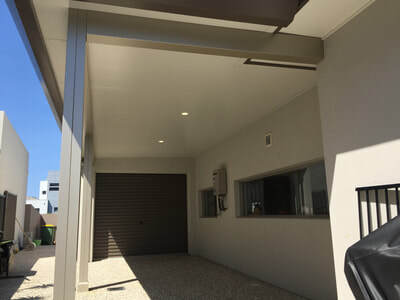 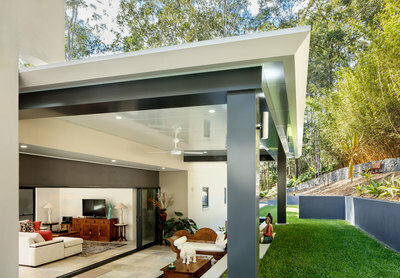 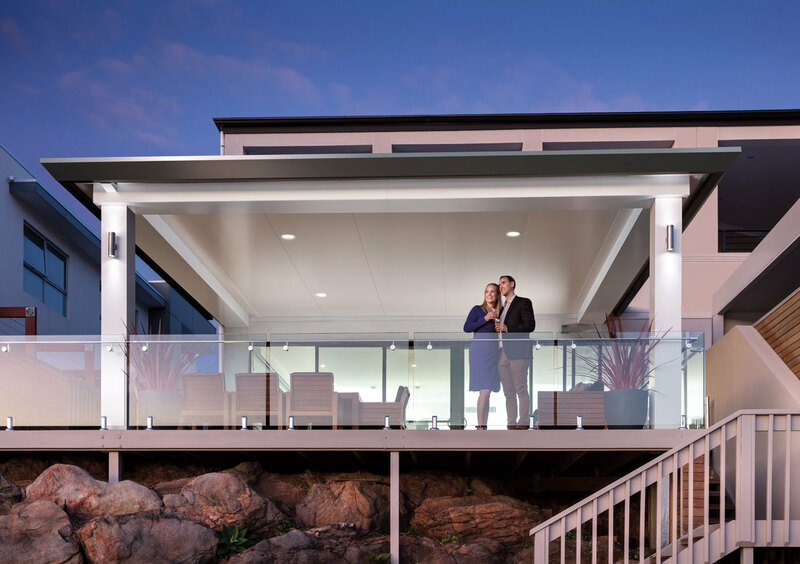 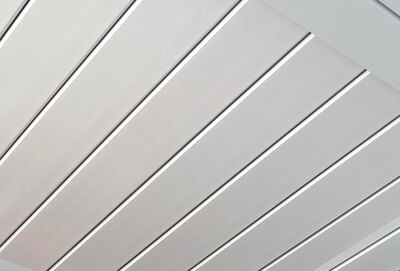 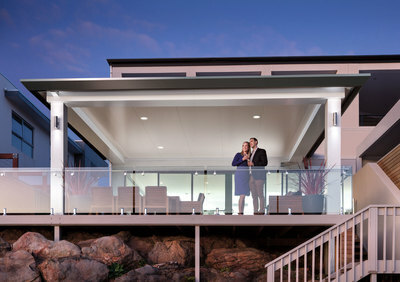 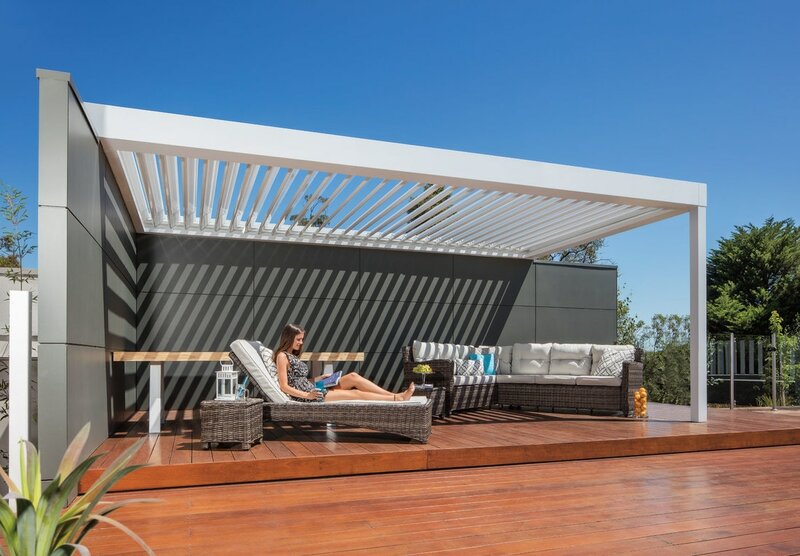 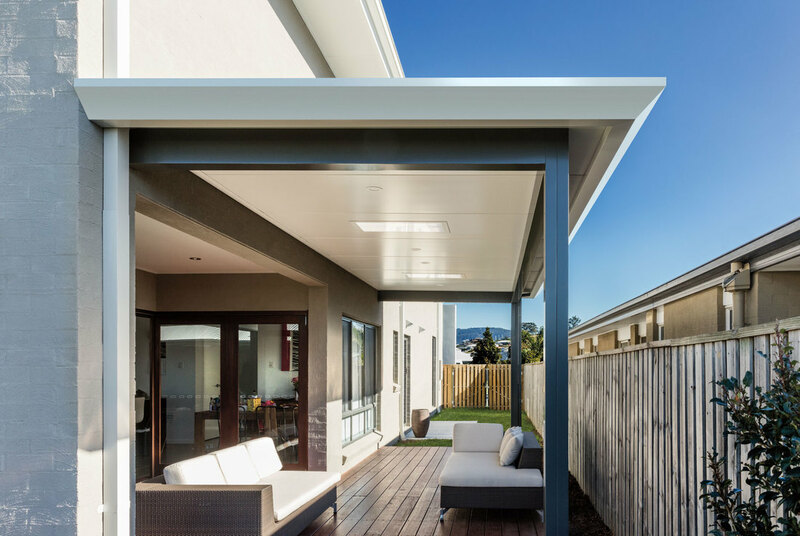 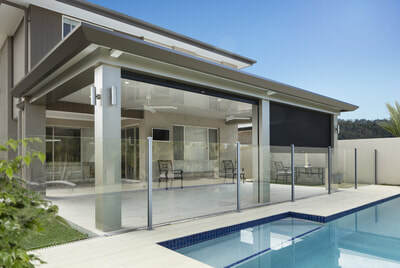 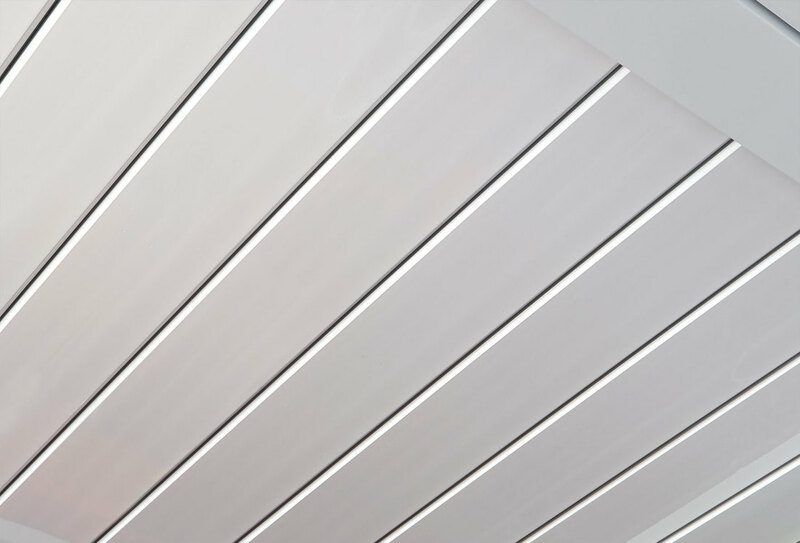 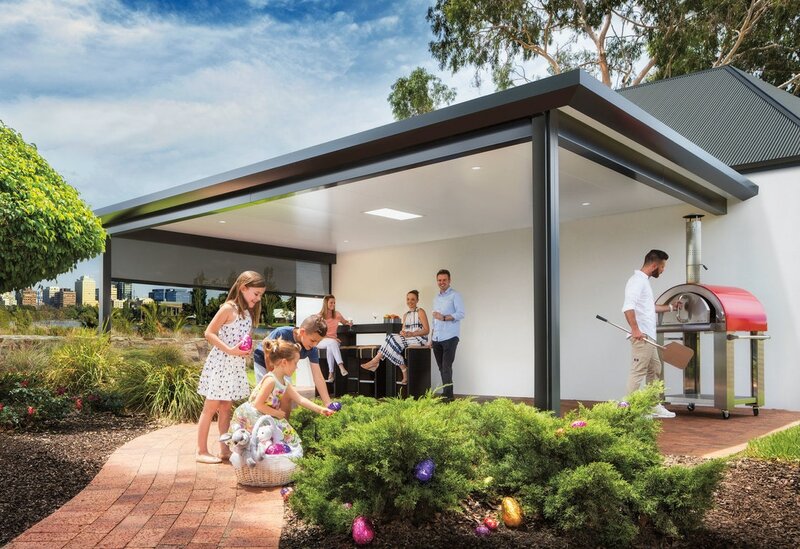 The Pavilion Allure with remote controlled opening louvres and a flat ceiling appearance when closed, is brilliant for rain, shade and ventilation control anytime of the year. 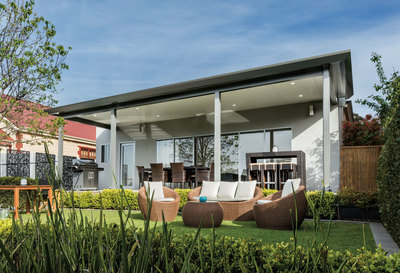 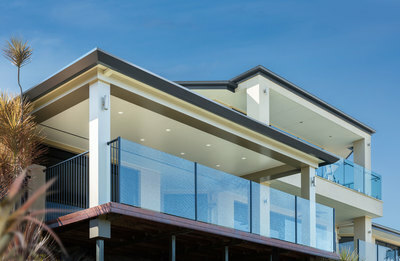 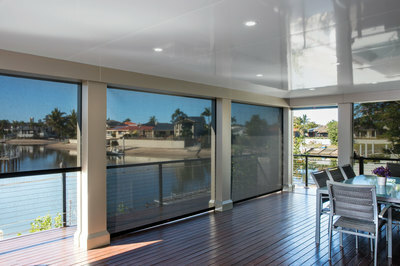 Maximise your outdoor enjoyment and genuinely extend your outdoor living season. 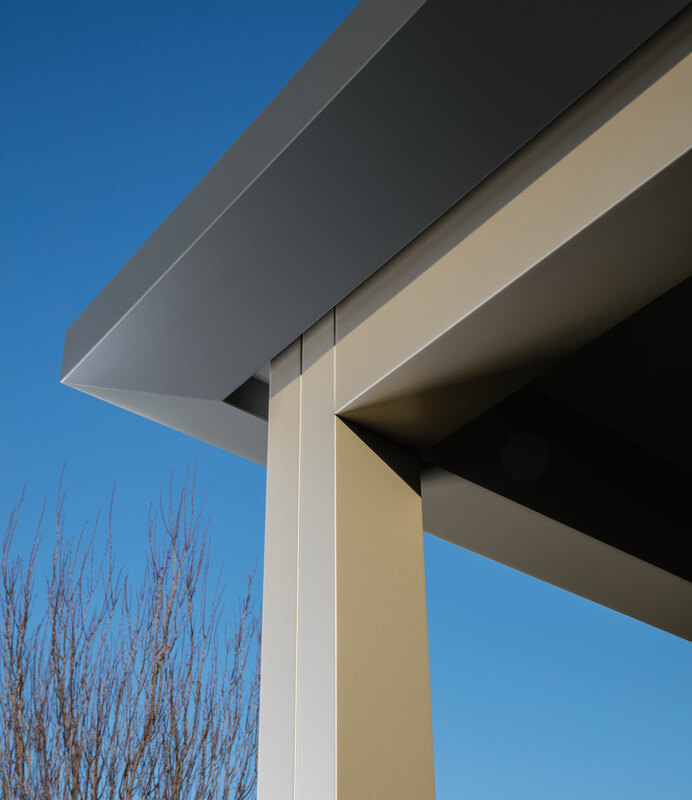 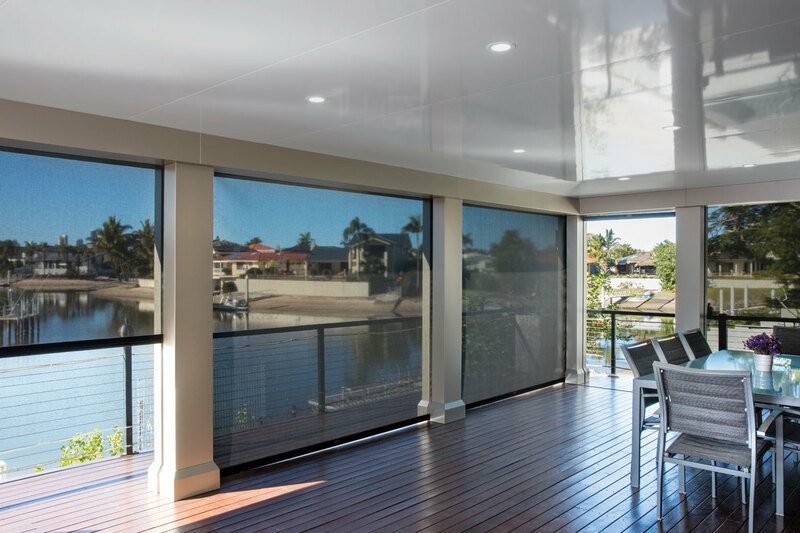 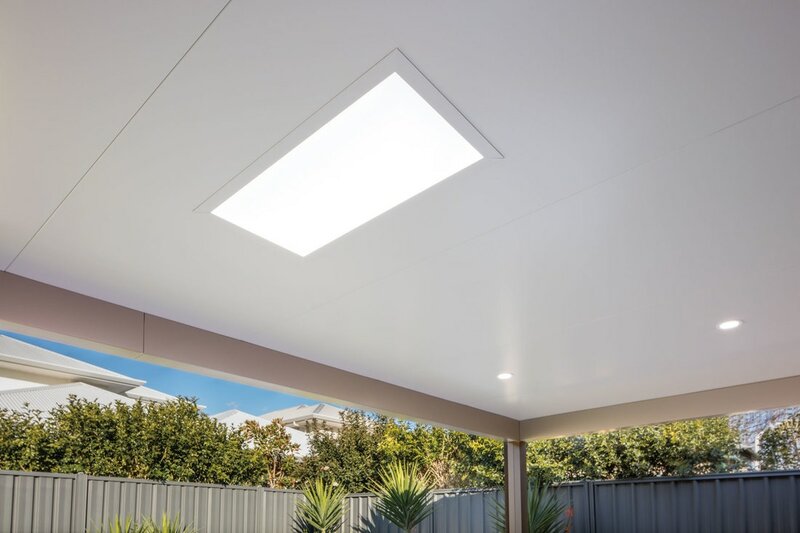 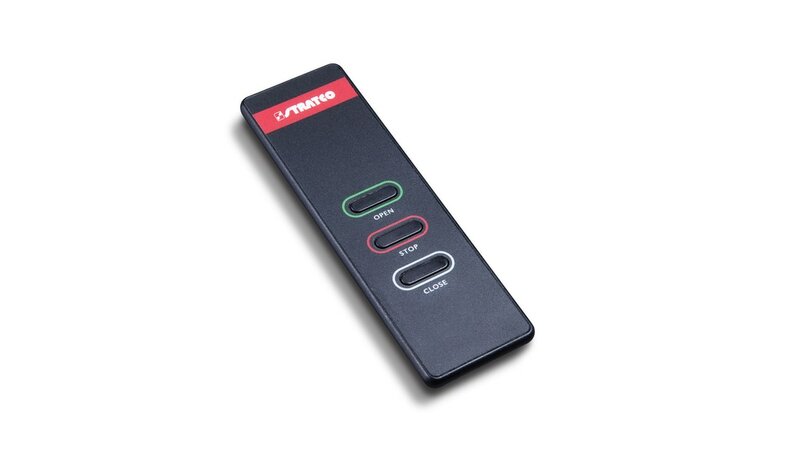 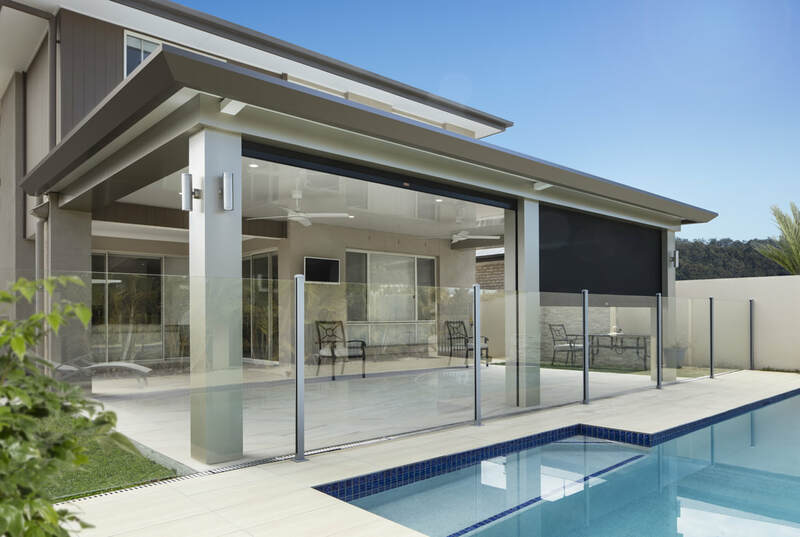 With the remote control you can precisely adjust your louvre angles to control sunlight levels in your outdoor living space.